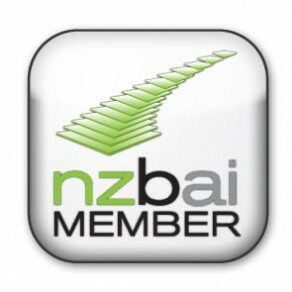 Advisors in Auckland ,Bay of Plenty, Wellington Region, Northland and Regional North Island. Geoff and the team at Your Business Doctor have years of practical business experience. We’ve seen firsthand the damaging results of poor financial management and we don’t want that to happen to you. Getting funding is often an important part of starting and running a successful business. In a competitive marketplace, it’s hard to set yourself apart from the competition and secure funding, capital and even attract investors. The team at Your Business Doctor understand what these bodies are looking for and can help highlight the advantages of your venture for funding opportunities. We’ll help you get the funding you need to launch your business and see your dreams become a reality. Your Business Doctors are also well-versed in reducing debt and financial risks for small business owners. We’ll identify potential issues, help you deal with financial problems, create a plan to reduce debt and make restructuring changes if necessary. Throughout the whole process, we’ll be working alongside you as a partner, making sure you understand what you need to do to improve your business. Budgeting, planning and forecasting are critical for small businesses. Our team can guide you through this process and make sure you understand how your business is going at each stage. During the planning process, we’ll chat with you about your goals, hopes and plans for the business in the next few years. Once we’ve created a solid plan, we’ll start budgeting and forecasting. These will show you the plan is going to be executed, tracking your income and expenses in an upcoming period. We’ll use historical data and predictive financial technology to forecast for future time periods as well. Of course, we’ll meet with you regularly to discuss the implications of this in plain and simple English.